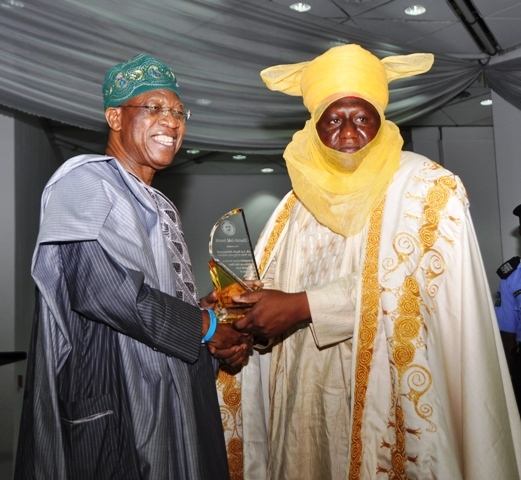 The Minister of Information and Culture, Alhaji Lai Mohammed, has bagged the Old Boys Association of the Government College, Keffi award, insisting that Nigerians should imbibe the culture of discipline, as the bedrock of success, reports ITRealms. Speaking in Abuja on Saturday at an Award Night organised by the Old Boys Association of the Government College, Keffi, his alma mater, Mohammed said the great emphasis placed on discipline by the College played a significant role in shaping the lives of the students who passed through the institution, including himself. Special Assistant to Minister of Information and Culture, Segun Adeyemi, quoted the Lai Mohammed as saying, "Keffi taught me one thing, which is that with discipline, there is nothing you cannot achieve. Those who came out to be good citizens in Keffi were not necessarily the most brilliant, but they were the most disciplined. "What Nigeria needs to do is to rebuild the minds of its citizens. It is because Keffi inculcated discipline and other high moral values that we turned out to be what we are today. This is what this government has embarked upon through its 'Change Begins With Me' campaign. The campaign is nothing but a return to the old values of honesty, integrity, punctuality and industry, which were very cardinal in Keffi. So what we are asking Nigerians to do is to go back and emulate what Keffi stood for," he said. Alhaji Mohammed recounted the good old days in Keffi, when the son of a Prime Minister and those of peasants cohabited in the same class without any bias or preferential treatment, even though the children of the rich paid higher tuition fees than those of the poor. "We took the same lecture, were served the same food and we were subjected to the same discipline. We sat for the same exams and by the time we spent a few months together, we forgot who was the son of a Prime Minister and the son of a peasant," he recalled. ITRealms gathered that Alhaji Mohammed received the "Cheetah Award" of the Keffi Old Boys Association (KOBA) along with the Minister of Sports Solomon Dalung, a former Comptroller General of Nigerian Immigration Service, as well as Secretary to the Government of Nasarawa State Suleiman Azores, and former Federal Permanent Secretary Ibrahim Talba, among other distinguished personalities.